By adding a little maintenance to your roof, you can enhance the visual appeal and value of your home. Here is why you should hire a roofing contractor in Tulsa, OK. If you are ready to get a new roof, you should consult a roofing contractor in Tulsa who is proficient. Read the tips here and get started! As soon as you find a sign of damage to your roof, make sure you immediately repair it. Let our expert roofers help you out. No matter if you are repairing or replacing your roof, it is imperative to avoid certain mistakes. Make sure the roofing companies in Tulsa you choose avoid these. Commercial roofing in Tulsa, OK always looks great with slate roofing, as it is beautiful, long-lasting and environment-friendly. The water stains can determine the leak in your roof and the necessity of its repair in Tulsa, OK. Click here to know how to get rid of it. Signs of Roof Damage – When Should You Replace It? Hire your roofing contractor from Elliott Roofing if these signs indicating damage to your roof are visible. There are a few facts to ponder about roof color choice. You can ask your roof repair or remodeling contractor in Tulsa, OK, for advice. In Tulsa, Oklahoma, a professional roofing contractor can be advantageous to hire. Follow the infographic for a detailed look. For roofing remodeling, consider a metal roofing system. Learn why this is a great option and contact roofing contractors in Tulsa for more details. If you are waiting to in invest in a new roof, here are four reasons for you to call some commercial roofing professionals in OKC to get your roof remodeled. While hiring a roofing company can be quite daunting, ask these three questions to determine if it is the best roofer in OKC for your project. There are multiple ways to replace a roof on a tight budget. Here are some tips. 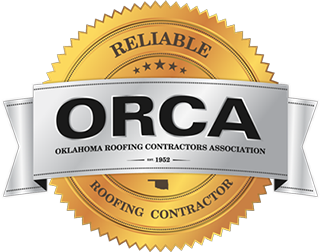 Ask your roofing contractor in Oklahoma City, OK, for details. Knowing the culprits of roofing damage would help you to understand potential risks. 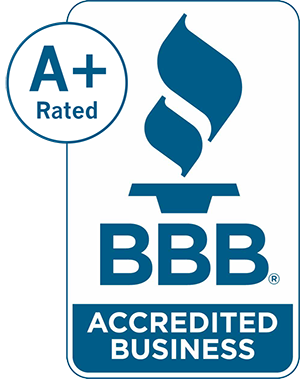 Call good roofing contractors in Oklahoma City for inspection. Commercial roofing has multiple aspects, unless you know all it is difficult to select the right one for your commercial building. Check out this infographic for all. Skylights are a roofing option to brighten the interior of your home or business. Check these tips from our commercial roofing professionals in Tulsa, OK.
Roofing companies in Tulsa can explain your options for green roofing. Here are some ideas for saving energy with a unique choice in roofing. Why Do You Need a Quick Inspection after Roof Damage? Hail storms are one of the most common causes of damage to a roof. Ask our roofing contractor in Tulsa, OKC, to identify damage and to fix it in no time. When it comes to roof repair it is always the best decision to choose a great contractor. Get in touch with Elliott Roofing for one of the best roofers in OKC. You can file an insurance claim for your roof repair. Consult our roofing contractors in Oklahoma City, OK for an inspection and guidance.